Official Training Event For Kamikaze Collection International. 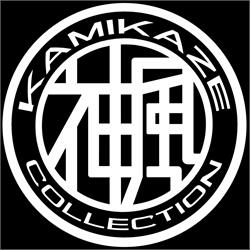 Kamikaze Collection is a revolutionary range of car care products designed and manufactured in Japan. Combining state-of-the-art technology with traditional know-how, Kamikaze Collection prides itself on delivering truly innovative and unique products that solve issues commonly faced by professional detailers. Employing the ‘kaizen’ approach, Kamikaze Collection focuses on continuous improvement to ensure their products add value. The secret to the success of Kamikaze Collection's coatings lies not only in the engineering of the product but in the application processes. On the day, these processes will be demonstrated and participants will have the opportunity to practice them under supervision. On successful completion of the course, participants will secure Kamikaze Collection certification, granting exclusive access to pro-only Zipang coating and Kamikaze Collection's flagship coating, ENREI. Please note: Acceptance on to this course is dependent on eligibility. If you are a professional detailer or company interested in becoming Kamikaze Collection certified, in the first instance please complete the questionnaire here. Thank you so much, and thanks for the hospitality on the the 21st! It's truly a pleasure to work with you guys! What a great day and fantastic products.